Glu Mobile, a renowned developer known for their free-to-play titles such as Contract Killer and Deer Hunter, has officially launched their popular Eternity Warriors 3 title to Google Play. For those of you who are unfamiliar with the game, it’s an action-packed RPG with dragons involved, and a list of three heroes to play as. The game has been available on the iOS platform for some time now, and shows off a wealth of new features. One such feature is the multiplayer enhancement. You can now communicate with fellow players in real time, and even check out their loot. Another interesting addition is the choice of three kingdoms to explore and three heroes to navigate with – we typically only see one of each. What is best about the game, is the price tag. 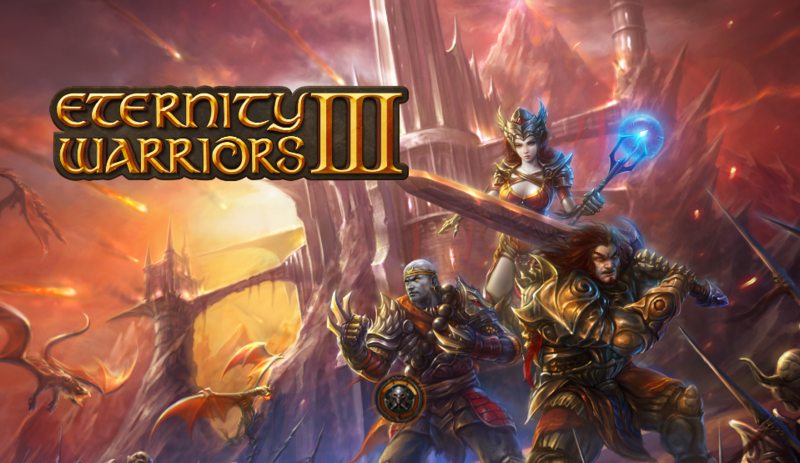 Eternity Warriors 3 is available on Google Play for free, with in-app purchases to grab a few in-game extras. While a game not completely ruled by IAPs would be nice, that’s just the way the world works.